A Greater Portland METRO bus pulls up to Prides Corner in Westbrook, May 16, 2018. 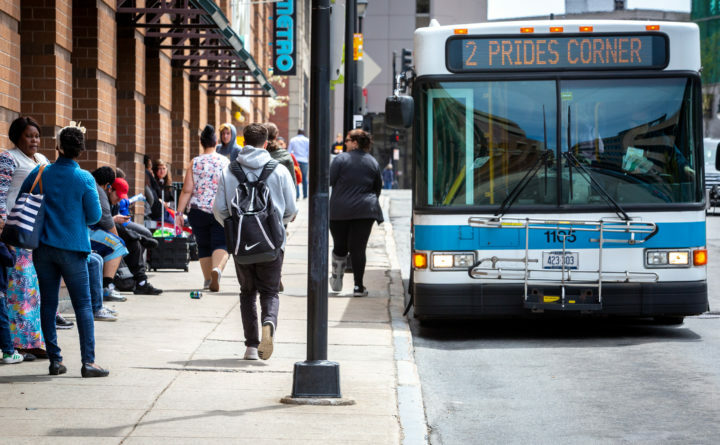 Greater Portland’s public bus system broke its ridership record in 2018 with a 5 percent increase in passengers. The Portland METRO had 1.95 million riders in 2018, surpassing 2017’s ridership total of 1.8 million, the transit system announced on Monday. Ridership has steadily increased since 2013, when 1.45 million rides were taken on the bus line. “Metro’s ridership results demonstrate that high quality public transit works in southern Maine, but we have a lot more work to do. We need to continue modernizing the system, improving bus stops, and providing 21st century fare payment options while also improving affordability and increasing bus arrival frequency so we can get people to their destinations faster,” METRO’s general manager, Greg Jordan, said. METRO attributed the increase to a slate of improvements made to the bus system over the past five years, including increased Sunday and holiday service, real-time bus arrival information, and added service from Portland to Yarmouth, Freeport and Brunswick. It also added 11 new buses to its fleet, installed new bus stop signs and launched a new website. METRO provides bus service to Brunswick, Falmouth, Freeport, Gorham, Portland, South Portland, Westbrook and Yarmouth. At its December 2018 meeting, the METRO board elected Belinda Ray of Portland as board president and welcomed Jeff Levine of Portland back to the board.